Canon sent its latest DSLR into orbit today with the launch of the EOS 60Da, a high-res snapper designed for astrophotography. The Canon EOS 60Da - essentially a refresh of the 20Da - packs a modified infrared filter and low-noise sensor, which along with a "heightened hydrogen-alpha sensitivity", makes it an ideal candidate for shooting the night skies, apparently. The DSLR features an 18Mp APS-C CMOS sensor with a Digic 4 processor and an ISO range of 100-6400, expandable to 12800. Meanwhile, on the rear you'll find a 3in LCD with a million-dot resolution. The system is compatible with the EOS range of interchangeable lenses ranging from 8mm to 800mm. 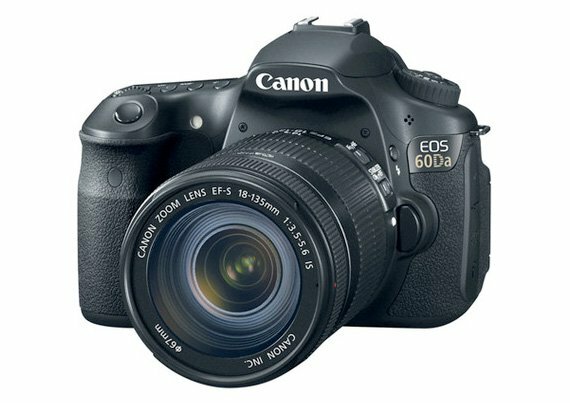 You can get a full read-out of the EOS 60Da's specs at Canon's website.